Where is the BI Sweet Spot? We all hear about the sweet spot - whether it is a basketball, football, or baseball player that has found their groove, or someone finding that place on the beach where they are very comfortable - many have found their sweet spot. A place that works for us and where we get the best return on our activity. The same is true within the BI Ecosystem - there is a sweet spot where the enterprise can maximize its investment in BI. Mobile allows consumers to have apps, interact with companies, and create social factoids without being tethered to a desktop. It also allows managers to access self-service BI, giving them access to vital information to support quicker decision-making. Cloud provides new opportunities for innovation through previously non-existent service and data providers, lower costs, and increased organization agility. Big Data creates opportunities that did not exist in the past. Those opportunities include things like the easier access to customer sentiments, access to data previously unavailable, and the ability to combine newly available cloud and in house data stores. These forces create the BI Sweet Spot. The BI Sweet Spot is that place where an organization can realize the best return on its investment in BI through the intersection of mobile, cloud and Big Data. That return can come in the form of better decision making through understanding consumer sentiments, increased sales because of better marketing, or in some other way. What these have in common is that the organization is empowered though employing the intersection of mobile, cloud and Big Data. That empowerment can directly impact the bottom line, change the Capital Expenditures (CapEx)/Operational Expenditures (OPEX) mix and hence the Total Cost of Ownership (TCO). Www.tripadvisor.com is a good example of an organization that has moved to the BI Sweet Spot. Trip Advisor provides �unbiased hotel reviews, photos and travel advice.� Mobile apps provide a way for the consumer to create ratings during and after their trip experience, customization of the consumer experience is provided by linking the consumer�s Trip Advisor and Facebook accounts, and cloud-based mapping and geo-locator services provide street maps for hotels and other properties. Wisdom of Friends: allows the consumer to get advice from friends on Facebook as the consumer plans their vacation. City Guides: smartphone app that allows the consumer to get a quick snapshot of traveler�s reviews of hotels, restaurants, and attractions. Maps: using geo-locator services, this innovation allows consumers to locate the desired hotel. A mash up of hotel popularity, price and availability are provided in a dynamic mapping interface. Check Rates: using cloud-services consumers are allowed to compare hotel pricing and availability across a multiple vendor websites. TripWatch: customizable email alerts on specific hotels, attractions and destinations. Third-party Social Networking Applications: innovations are available as applications for use on popular social networking sites like Facebook. These consumer-oriented innovations provide a treasure trove of structured and unstructured data for use in creating BI. Cloud-based reservation information can be captured, and consumer trends/sentiments (via unstructured consumer reviews) can be tracked over time. By combining these data stores, the travel industry can see what is �trending,� allowing them to understand customer preferences and behavior. Self-service BI is offered to the travel industry through the Trip Advisor Property Dashboard and Snapshot analytics services. Property Dashboard provides BI about consumer engagement with your advertisement, customer reviews, and comparative BI about your property and how it fairs against your competitors. Snapshot provides summary data about many of these same BI factoids. The BI Sweet Spot is created through the intersection of Mobile, Cloud, and Big Data. Organization can harness these forces to create successful BI, increase innovation, and enhance decision-making. Doing these things will have a positive impact to the bottom line. Trip Advisor is an organization that has moved into the BI Sweet Spot by combining these forces to create uniquely monetized BI that is valuable to consumers and the travel industry. A BI plan aligned with your organization�s resources can get you to that same sweet spot. 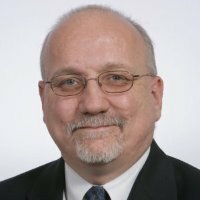 Dr. Michel Gendron has over 35 years of industry and academic experience in information systems. He has held positions such as CIO for a large health maintenance organization, and as a research analyst for a state health department. He holds his Ph.D. in Information Science with specializations in Information Decision Systems and Health Policy and Management from the State University of New York at Albany. Dr.Gendron has recently published three books: (1) Business Driven Data Communications (2013), (2) Business Intelligence Applied (2013) and (3) Business Intelligence and the Cloud (2014). Find more information at www.businessintelligenceapplied.com and www.businessintelligenceapplied.com/SpecialOffer1.aspx. Gendron, M., "Where is the BI Sweet Spot? ", DSSResources.COM, 06/30/2014. Michael Gendron provided permission to post this article at DSSResources.com by email. This article was posted at DSSResources.COM on July 1, 2014.